El Dia de los muertos (Day of the Dead) – a day-long fiesta of fun, food, and prayers to celebrate and remember loved ones who have passed. After friends have gathered for a short mass at a grave, the family of the deceased hands out candy. 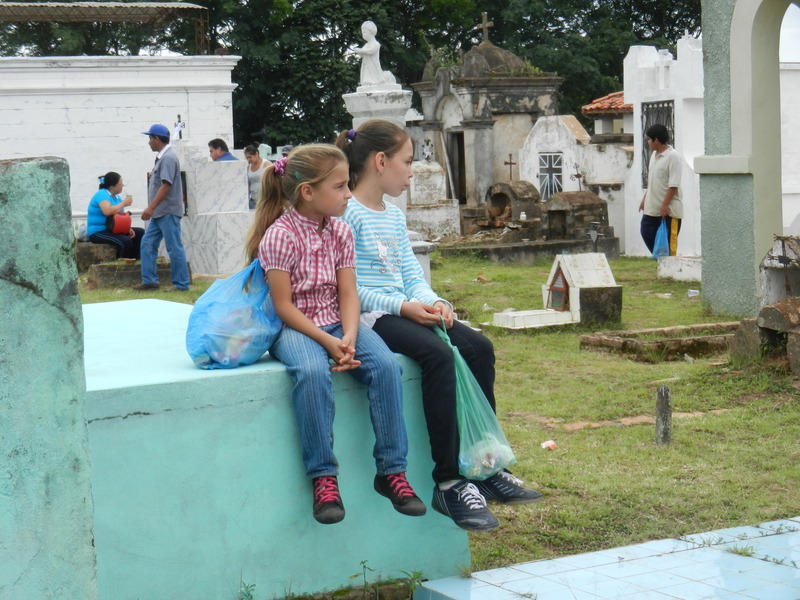 Here two girls by-pass the mass but attentively await the moment when the candy appears.